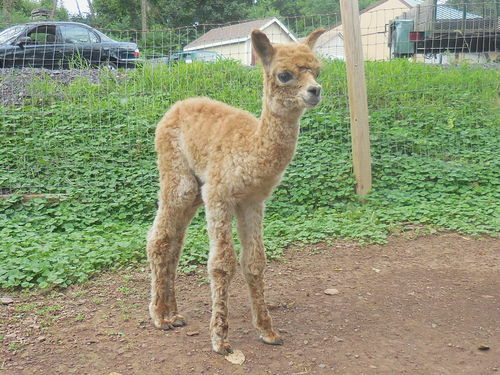 Openherd: Woodside Alpacas is a farm located in Souderton, Pennsylvania owned by Carolyn Martin. We are a little farm in Montgomery County, close to the northeast extension of the PA turnpike and Route 309. Our goal is to offer top genetics at reasonable prices, so take a look at what we have. 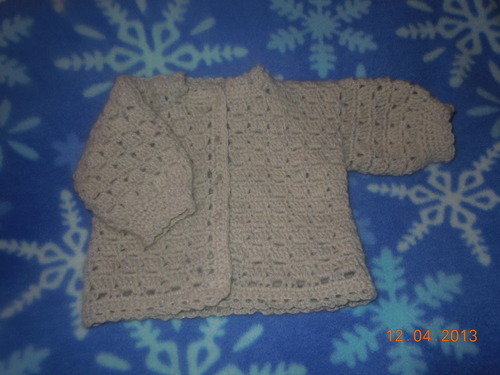 We are more than happy to take custom orders for hand made quality products such as scarves, baby sweaters, caps and booties, all made from our alpaca's fiber. So check back often to see what we have available and what's happening here on the farm. Our goal is to stay small so we can spend time with each and every alpaca. We can bring our alpacas to you! Do you have an event that you'd love to have alpacas visit? Would you like a program about alpacas at your retirement community or other facility? 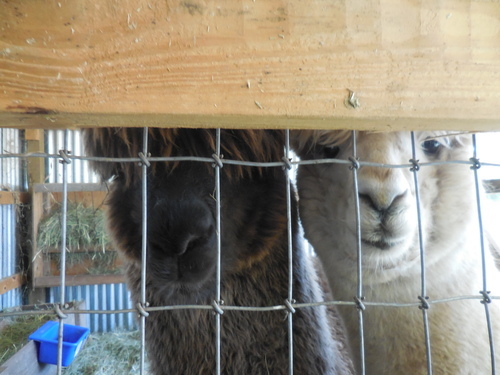 Contact us and we'll be happy to bring our alpacas out to see you! Fees vary according to distance, length of visit, etc., but our prices are reasonable. We also offer a discount if you provide us with an opportunity to sell alpaca products. Cash payment on purchases under $1000. For purchases over $1000, 25% down and interest-free financing for 1 year preferred. If that doesn't work, call Carolyn and we'll see if we can work something out. Buyer is responsible for transportation, ARI transfers, and all vet certificates. Breeding prices are for drive-by only; we will board your female or bring our male to you at an additional cost. We're sorry, but in November & December we spent most of our time preparing for a family sale as well as a move just down the road. It did not work out to open our store as usual. However, we have most of the products here and we have moved to 358 W. Reliance Road, so call if you are interested in anything. Many of our best-selling products are in stock at Ruth & Company on Front Street in Souderton (just across from the train tracks). Stop in and check out all the local vendors that set up in Ruth's shop!